provides a space for smaller gatherings. The room has an area of approximately 17 square metres being 5.6m long by 3m wide (18ft x 10ft). 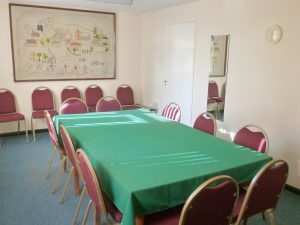 The room can accommodate 20-25 people in close seating layout, or 12-15 in meeting room layout around a committee table.